The ‘Old Hollywood’ flair has sustained its status as a major stimulus within the fashion industry, often appearing on the red carpet and runway. This presence naturally includes the original movie stars who today remain a prominent inspiration, or as some may call them; the unprecedented influencers for our modern millennials. Significantly, Alessandro Michele continues to embark on nostalgia as he brings to life such an era for the Gucci SS19 campaign. It would come as no surprise that the legendary Glen Luchford shot the ad, where the imagery within stills and video is both believable and inspirational. From ‘Singing in the Rain’ to ‘There’s no Business like Show Business’, in true Michele form, the glitz and glamour incorporate archetypal quirky characteristics that only the Gucci creative team could encompass. 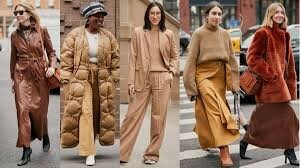 Within the opening of NYFW, street style proved that vibrant, loud and eye-catching was not always the protagonist for leading the way to the designer shows. What we actually witnessed was an array of beige and fawn tones, which developed a sense of calming diligence. Perceptibly, such shades were represented on the runway, and we can already purchase the desired look on our high streets. The colour itself is a reminder to the old Hollywood style, where such A-listers in the form of Audrey Hepburn would don an oversized trench over her petite self, ensuing a look of elegance. 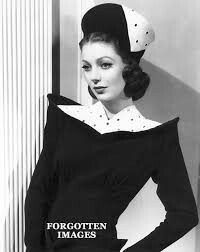 The colour formation was also a popular choice for Hollywood daytime –wear; button down shirts, camel leather belts and A-lined skirts all contributed to the wardrobe of these original leading ladies. Hollywood glamour has always proved to be a popular choice with the stars of today, and the 2019 award season indubitably assured such declaration. The Critic Choice Awards in particular shone with the vintage vibe through its voluminous curls, sheer finishes and beaded gowns; Angela Bassett for example stunned in silver beading, proving the styles permanency. With wedding season soon upon us, Hollywood-inspired gowns are notoriously popular, proving the transformations of feminine designs are done so with elegance and glamour in mind. Traditional Hollywood charm was the inspiration behind Sareh Nouri’s 2019 collection. The bridal designer added plenty of sparkle and sexiness, but with a sophisticated grace that emphasised her signature style. Nouri worked conventional silhouettes in exquisite fabrics creating texture and depth using lace, beading and ruched effects for her creations, which resulted in a superfluity of old-style Hollywood. Hollywood’s history will remain an entertaining showstopper; the innovative films and the iconic idols embrace a sense of original showbiz and a plethora for creative inspiration. It may come as no surprise that the Gucci CD formulated such an aesthetic, as the designer is renowned for producing historic themes and characterisations within his campaigns and collections. Maybe this is why some fashion insiders are becoming a tad tired of his approaches, however, with a concept in the form of Hollywood glamour, enlightening others with such pizzazz is joyous distraction, and something we all need in our lives.